A presentation given at Webstock 2010 by Thomas Fuchs about up and coming open web technologies. 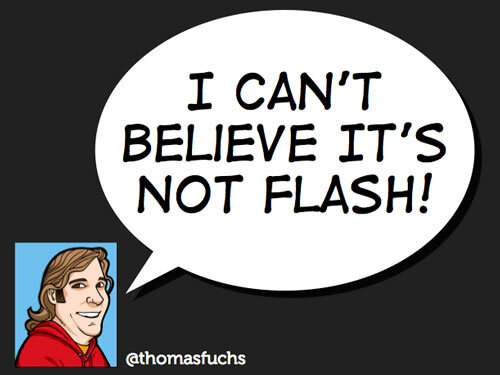 A nice little primer into the Flash vs HTML5 debate as well as some interesting JS animation code as well. If you can make it past the Marker Felt on the first slide, this deck has some nice elements to it including some cool icons and a good amount of contrast which makes it easier to read especially when viewed on a projection system.